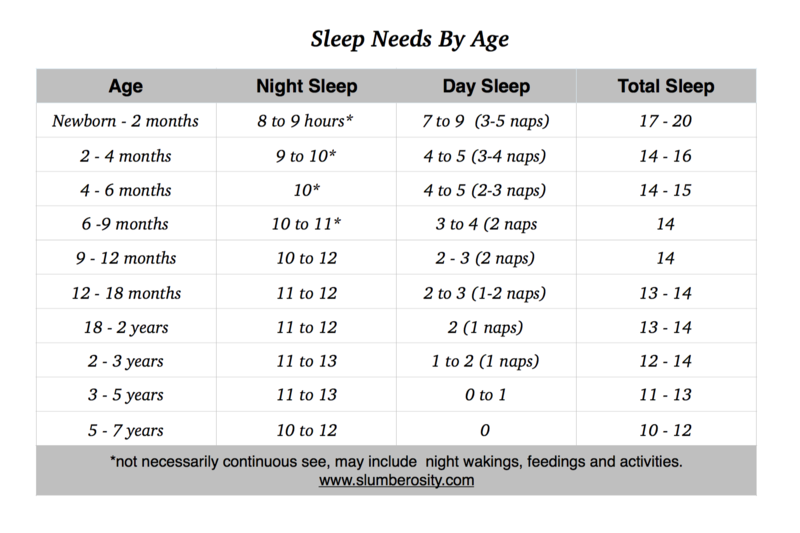 If you’ve ever wondered how much sleep your baby or child should be sleeping per day, here’s a great chart for you to follow. Keeping in mind that every child is different, so results my vary. Some children my sleep a little bit more, some a little bit less. I have children ranging ages from 3- 22 years and none of them slept that much! Also, I would suggest that if you want your information to be taken seriously you edit and fix your typos before you publish.